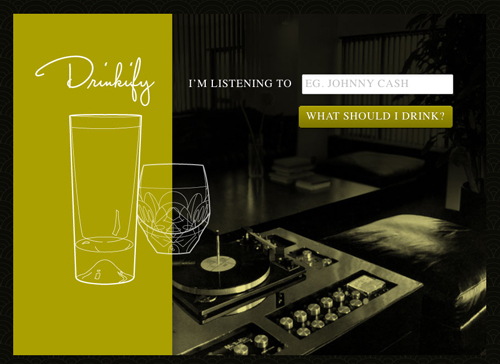 Drinkify is a website that tells you the perfect drink to enjoy with whatever band or artist you happen to be listening to. I tried it real quick while at work and received some interesting suggestions. Devotchka: 1 Bottle of Red Wine, Elvis: 2 oz Maker’s Mark Bourbon, Miles Davis: 1 oz Heroin. Wait, what? While listening to Miles Davis I should be having heroin? I mean I know he had a problem, but… oh well. Smack it is, I guess.